I’m back from San Diego and almost human again. The jet-lag hasn’t been too bad, although I did manage to misplace the milk yesterday, only to find it in the microwave rather than the fridge. Whoops. I had a great SDCC and will post photos later, but in the meantime I thought I should talk about my big news that was revealed on the Lucasfilm Publishing panel. 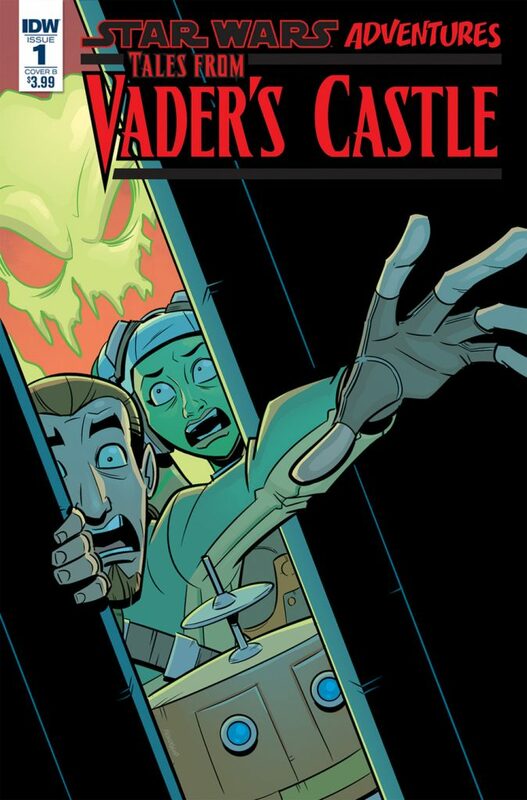 I’ve written a new weekly Star Wars Adventures mini-series which is set to be published over October, right in time for Halloween. 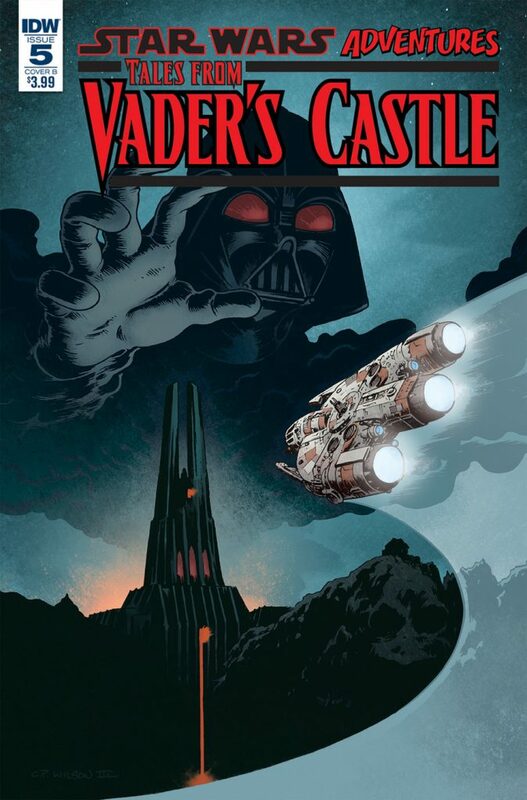 Tales From Vader’s Castle is an anthology of spooky stories from a Galaxy Far, Far Away and was spawned by my love of old Hammer and Amicus horror films, a love shared by Michael Siglain, Creative Director at Lucasfilm Publishing. 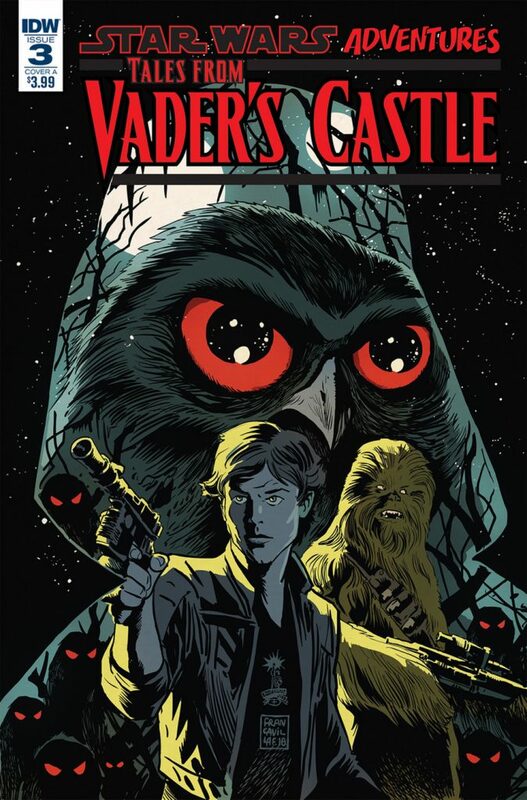 I think it was at last year’s SDCC that we first discussed the idea, talking about the kinds of creepy tales we could tell within the Star Wars universe. It all stemmed with the desire to do something scary with Count Dooku, played of course, by horror legend, Sir Christopher Lee. From there, we became increasingly excited, jabbering away about ghosts and monsters and witches and devils. The result was the longest pitch document that I’ve ever written which was bounced back and forth across the Atlantic, until the project was officially greenlit early this year. 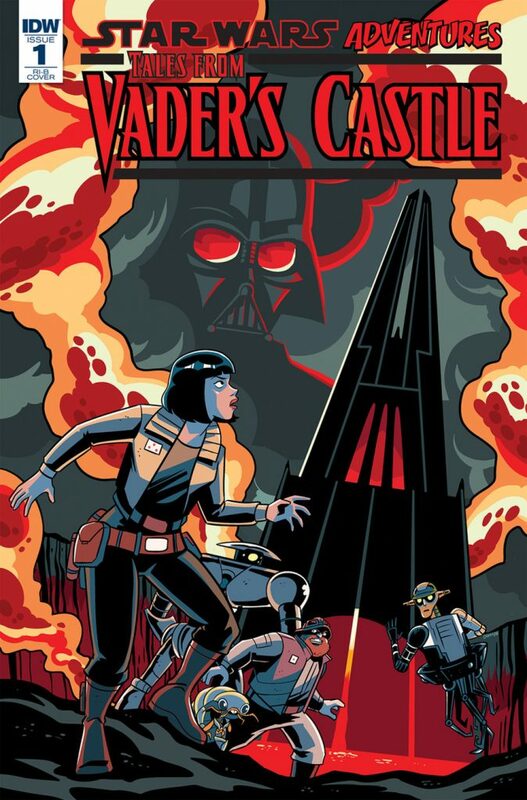 As I explained on the panel, Tales From Vader’s Castle sees a Rebel ship crash-landing on Mustafar. 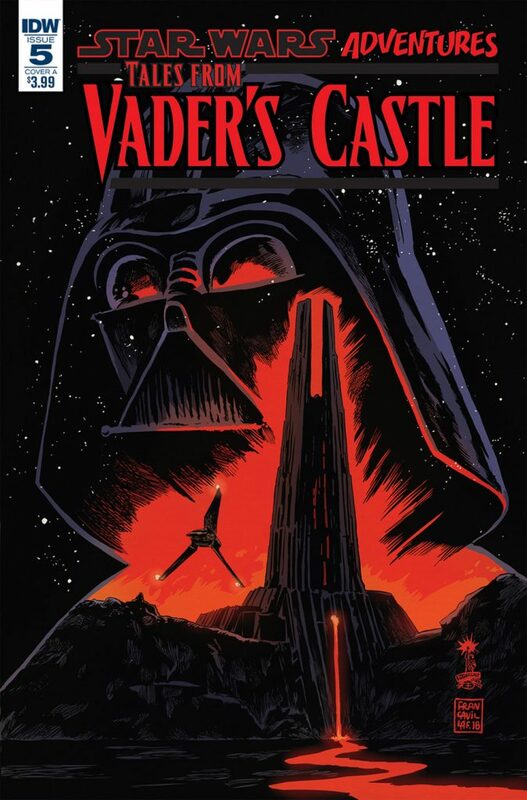 As their ship sinks beneath the lava, the crew have to find shelter, but unfortunately the only building for miles around is the spooky castle on the hill, a castle which belongs to the Dark Lord of the Sith! I was particularly pleased when we decided to bring back Lina Graf for the framing story, a character that I first wrote as a young girl in Adventures in Wild Space – The Escape. Now grown up, Lina is a Commander in the Rebel Alliance and must get her crew to safety. To raise their spirits, they start telling each other stories, all of which are just as scary as their surroundings. Every issue features a different story, complete with a different guest artist. Issue one features The Haunting of the Ghost, and sees Chris Fenoglio depicting Kanan, Hera and Chopper encountering an unquiet spirit. Issue two delves back into the Age of Republic and features the story that set everything rolling – Count Dooku, Prince of Darkness. Obi-Wan Kenobi must face the Sith Lord on a world terrorised by a dark power. Kelley Jones provided the art, which makes me so happy. I’m working with one of my all-time favourite Batman artist. Somebody pinch me! Issue Three sees young Han Solo and Chewbacca tackling The Briar Witch, with art by Corin Howell. 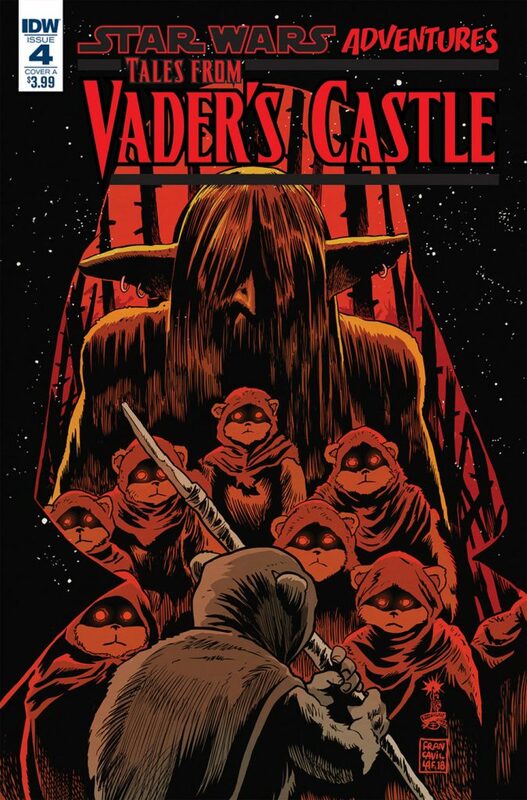 And then we reach a story featuring the most terrifying Star Wars monsters of all – Ewoks! The Terror of Darth Vader wraps up our little Halloween event in Issue 5, with art by Charles Paul Wilson III. I can’t wait for you to see what dreadful delights we have in store, but before I go there is another wonderful piece of news to share. 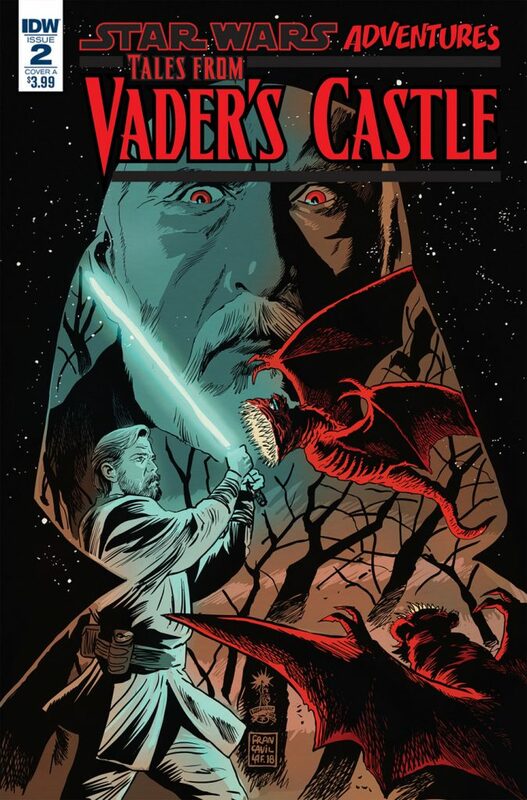 Eisner Award-winning artist Francesco Francavilla has produced an incredible set of variant covers which have to been seen to be believed. In fact, I hadn’t seen them until the panel itself. Michael Siglain and the IDW team kept them from me so my reaction would be genuine. Even then, I couldn’t really see them from my seat! Once the panel was over, I pulled up starwars.com to see them properly and, as I expected, they were worth the wait. Aren’t they spectacular? Francesco reveals more about the process of creating the set over on SyFy.com – head over to their website to read the interview now, and see some exclusive sketches of Francesco’s early concepts. 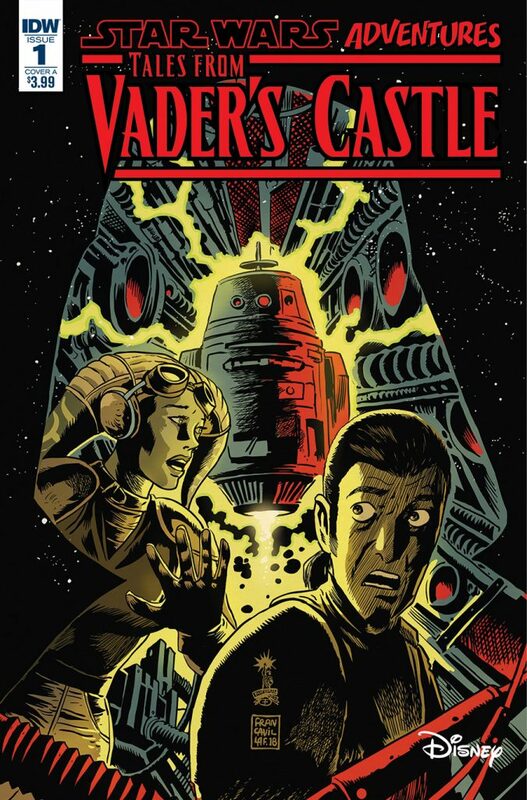 There’s more Vader’s Castle interviews and news coming, so watch this space!